A large sinkhole opened up near Barclays' building in Upės Street in central Vilnius, forcing the evacuation of people from the building. The evacuation started at 1 p.m. and was completed by 2 p.m., Saulius Gagas, head of the Vilnius County Police Headquarters, told reporters on the site. 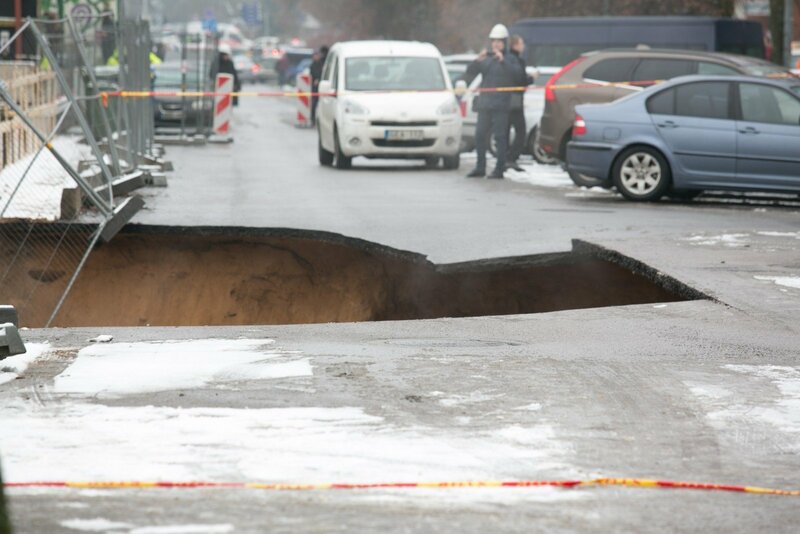 "While performing (construction) works, it was noticed that a sinkhole had appeared. We have removed vehicles from the site to prevent serious consequences. One of the builders' vehicles is under water. The evacuation is underway," he said. 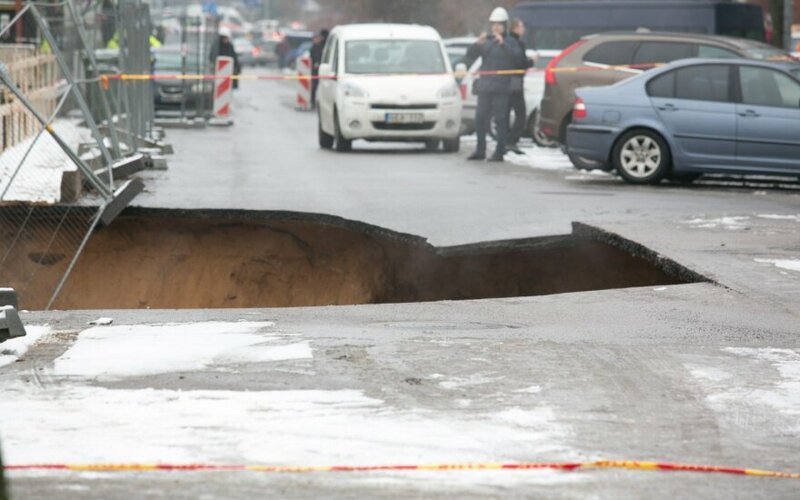 Jūratė Vaičiūvienė, spokeswoman for the Vilnius County Police Headquarters, told BNS that a passerby had called the Emergency Response Centre at 12:47 p.m. to inform them that a sinkhole had opened up on the parking lot at 21 Upės Street and that it was widening. The woman said she feared that cars might fall into the sinkhole. It was also reported that a water pipe had been damaged and that water was flowing into the street. A BNS journalist reported from the site that the surrounding area had been fenced off and that workers were working on the site and medical and rescue teams had been called in to help, if needed. No one has been reported injured in the accident.